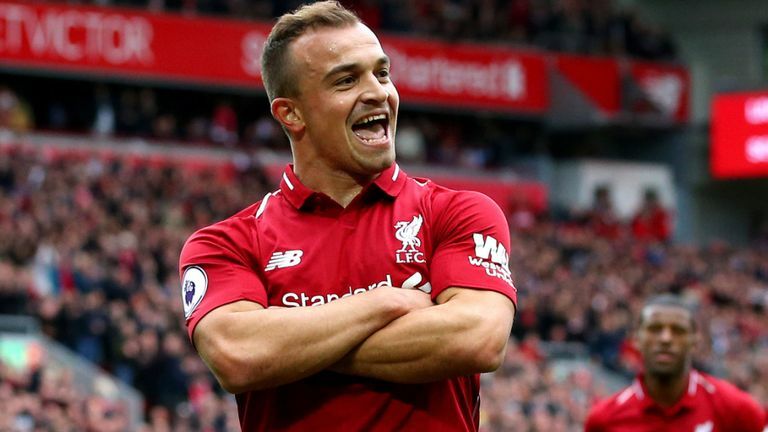 Liverpool have left Xherdan Shaqiri out of their squad to face Red Star Belgrade in the Champions League on Tuesday night. The Swiss midfielder is of Albanian origin and there could be problems playing in Serbia, so manager Jurgen Klopp has decided to play safe and leave him at home. After scoring for Switzerland against Serbia earlier this year, Shaqiri celebrated by making a double-headed eagle gesture, symbolising the Albanian flag, and was later fined 10,000 Swiss francs by FIFA. “We have heard and read the speculation and talk about what kind of reception Shaq would receive and although we have no idea what would happen, we want to go there and be focused 100% on football and not have to think about anything else,” said Klopp.